A package created by our Hi-Fi experts for optimum performance, this benefits from Tannoy and Yamaha qualities pairing the XT 8F speakers with the AS1100 integrated amplifier. Earn 2119 loyalty points when you order this item. Fusing Tannoy's industry-leading manufacturing with Yamaha's excellent sound quality and reliability built over 125 years, this package combines the XT 8F floorstanding speakers with the A-S1100 integrated amplifier. Award Winning flagship speaker of the range, XT 8F offers the scale and dynamics of real live music in a loudspeaker that looks every bit as good as it sounds. The 8” Dual Concentric and 8” auxiliary bass driver combo has been exceptionally success throughout Tannoy’s illustrious history and the Revolution XT 8F builds on these strengths. 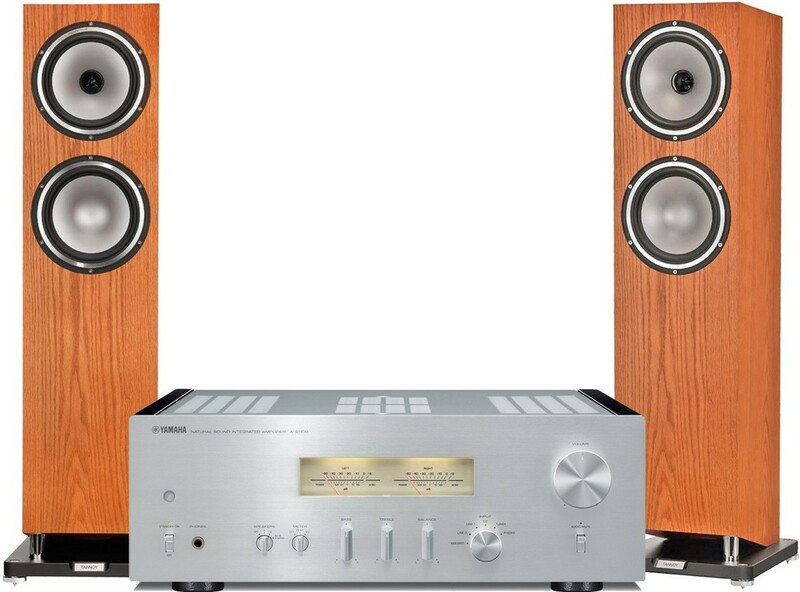 Yamaha A-S1100 is a dedicated single-ended amplifier and discretely configured phono amp for all types of audio sources featuring an elegant design and luxurious real wood panels. It has superb mechanical rigidity and installation stability that dramatically lessens the impact of external vibrations on sound quality. 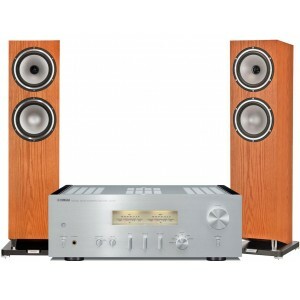 For more information on the integrated amp, please visit our main Yamaha A-S1100 page. The colour options displayed are for the speakers. The amplifier is available in black or silver finish, the colour will be automatically allocated based on stock availability. Please contact us to specify if you have a colour preference.